Most Brits taking a journey through Eurotunnel turn right and make their way to Le Touquet or Hardelot to playgolf. However, if you turn left in less than an hour you will be in Koksijde (pronounced Coxcider) complete with 18 and nine-hole golf courses, stunning beaches, Belgium seafood, beer and chocolate. Even if you did not notice the Belgium flag discreetly denoting the French/Belgium border you will have crossed into Flanders. 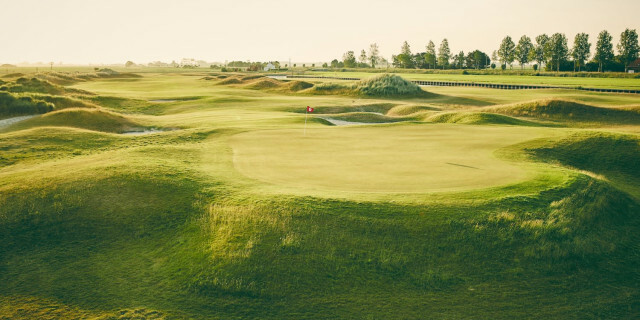 What does not go unnoticed is the flatness of the landscape broken up by sand dunes closer to the coast as you make your way to the Golf ter Hille Club. This is the newest and first public golf course in Belgium and has the mission of opening up golf to everyone interested. The Golf Ter Hille was designed by British architect Jeremy Pern and covers 84 hectares. Started four years ago, the course has been fully operational for the past two years but does not feel like a new course. 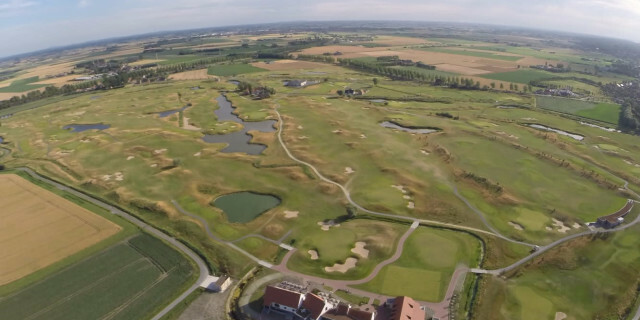 Although these are the only golf courses in Koksijde, there is evidence that there was a golf course here in the 1920s designed by leading British golf course architect H S Colt. A club head was found on the current site during the archaeological scoop before construction began. The courses were built from scratch and are green in every sense of the word. For example none of the water which plays a major role throughout is pumped and the small lakes are beautifully planted with wetland grasses and reeds, much appreciated by the wildfowl and birds that have made this their home. There is also an insect hotel with resident bees. The courses are open to walkers, cyclists, fishing in the lakes andbird watching including guidedtours this gives the place a natural feel, as though the course has been open for a hundred years. The 18 hole championship Langeleed course’s team of greenkeepers have been able to keep it in the inland links style. The fairways run like a Scottish seaside course but the greens are a little softer. The dunes which pockmark the local landscape give both their character, with large undulations giving golfers of all levels food for thought both with iron and putter in hand. The nine-hole Hazebeek course is a good quality par 31, again with excellent greens, several well-placed bunkers, water and a range of challenges. There are one or two holes that might intimidate the very highest handicappers visually but the generous fairways and unguarded approaches make it eminently playable for the whole family. There is a state of the art 30 bay driving range, putting, bunker and chipping practice areas if you feel the need for a warm up.There are 5 English speaking pros and head-pro Graham Pearce is from Brighton. Changing rooms are fully equipped, there is ample parking and a children's golf academy. There is a big focus on developing golf among local and visiting children and teenagers. Make sure you book your tee-off times in high season, on arrival check-in with the club shop. Take your handicap card if you have one; however, as the minimum handicap in Belgium is 54 and 35 for women, the club understands that this is different to the UK system and are refreshingly flexible. Golfers of all levels are welcomed. The clubhouse is beautifully designed around an original farmhouse and has many attractive features such as the entrance area, indoor smoking room, brasserie/bar, terrace with dining area and sofas and private dining room. They do excellent local shrimp salad or shrimp croquetteson the a la carte menu,sandwiches, tapas , three course set-menus and the bar features a wide selection of drinks including 10 Belgium beers to choose from. There is a variety of accommodation options in the area. We stayed at the family run 3 star Soll Cress Hotel. The owners are very welcoming and speak perfect English.The hotel is a five-minute walk to the beaches and dunes, has its own swimming pool, gym and sauna. A buffet breakfast was served in the restaurant including homemade apple juice and marmalade. We had dinner at one of the three yacht clubs on the edge of the beautiful sandy beaches we watched the sunset over a mass of hobie cats. There is a wealth of restaurants in the area including red bib, 1 and 2 star Michelin rated restaurants. A stroll or drive around town will give you a feel of the blend of early 20th century and 21st century architecture in Kotsijde especially along the main street (Zeelaan) where there are several restaurants.Here you can find renowned Belgium chocolatiers such as Frederic Blondeel,these delicious chocolates are sold in family coffee retail shop Santos Palace opposite their coffee shop.Moving up Zeelaan street you cannot miss the extraordinary town hall which houses the spaceship like council chamber, opened in 2006.Opposite is an outdoor gallery of then and now photos of the different buildings. From here you are also only a few metres away from the miles of stunning, sandy beaches. 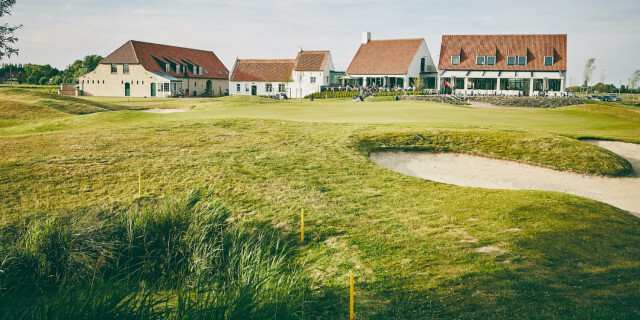 Koksijde is a clean, safe and friendly place for a weekend break, however, if you want to stay longer and play more courses there are five within an hour's drive. Single rooms at the Soll Cress start at 80 euros, they also offer a golf packages of 135 euros (sharing a twin or double room) B&B, with lunch and 18 holes of golf (http://www.sollcress.be/nederlands/home/). Green fees at Golf Ter Hille, competitively priced, start at 20 euros midweek and 25 euros weekends from November through March for nine holes and39 and 55 eurosfor 18 holes. Summer green feesfrom April 01 to 31 October are euros 25 & 55 for nine holes and 55 and 75 for 18 holes . Under 18’s play free of charge. (http://www.koksijdegolfterhille.be).